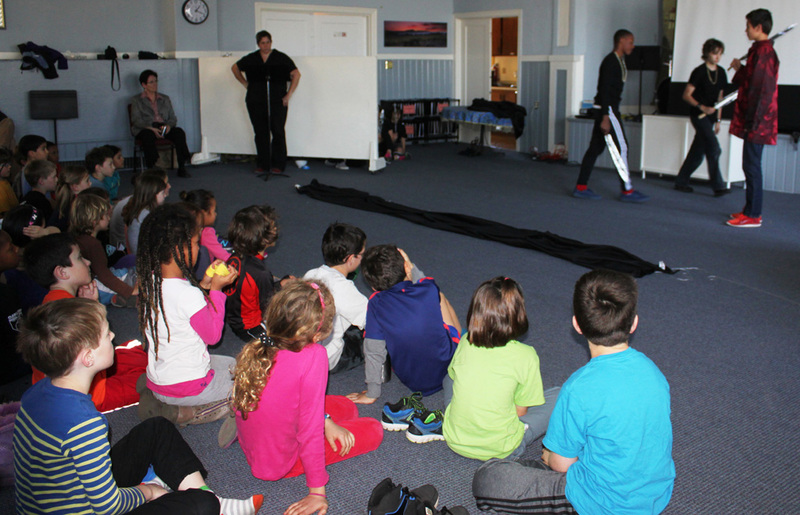 At The Renaissance International School (TRIS), math is not so much a subject to be studied as it is a field for personal exploration and discovery. Each student embarks on his or her own journey through this magical world, conquering successive challenges as they build not only their understanding of mathematical concepts, but also their creativity, a deep love of learning, and a strong sense of discipline. The following describes one of our middle school student’s math journey so far this school year. Isaac started the semester by exploring tessellations. He began by trying to determine which regular polygons tessellate and why. In order to answer this question, Isaac found that he needed to be able to tell how many degrees there are in each of the angles of the polygon in question; Isaac was able to derive the formula ((n-2)*180)/n with ease. Isaac then moved on to an exploration of other elements in geometry, using Euclid's Elements as a guide. Isaac was able to quickly start working through the different propositions and became very impressed by Euclid's attention to detail. By the tenth proposition, Isaac felt comfortable enough with the structure to start trying to prove the propositions for himself. Isaac then decided to return to math, with an eye towards quadratic equations. In order to start down that particular path, Isaac returned to his work on the factoring of polynomials (started last year). With minimal work with didactic materials, Isaac soon became confident in this work and accepted the challenge to take a chapter test from one of our reference textbooks to see how he fared. During this activity, he encountered some problems, such as those involving the difference of two squares that he wasn't sure how to solve. As a result, Isaac started focusing on the difference of two squares. Through a series of guiding questions, Isaac was able to determine that x2-y2=(x+y)(x-y). Although Isaac was able to work through these problems computationally without problem, he found it more challenging to illustrate what these equations actually mean. He finished his explorations of difference of a square by writing out a proof for his findings (including illustrations!). At the end of the semester, Isaac started focusing on solving quadratic equations. 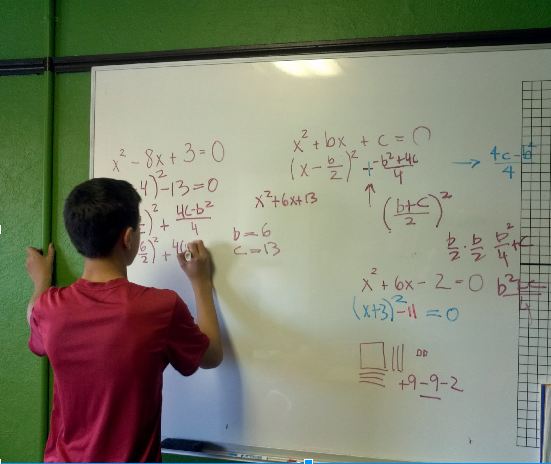 Using his strong understanding of the factoring of polynomials, Isaac was quickly solving those quadratic equations that can be easily factored. Once he demonstrated that he was ready for the next step, Isaac was presented with a challenge: could he figure out how to solve quadratic equations that are not easily factorable? Using a combination of paper, pencil and didactic materials, Isaac got to work. A month later, through trial and error, work with the materials and some timely tips from his teacher, Isaac had finally found a formula that he insisted could be used to find x in ANY quadratic equation….yes, he had derived the quadratic formula! It’s Spring! Everywhere leaves are making an appearance, as are a multitude of beautiful flowers! It seems appropriate, therefore, for the middle school students at The Renaissance International School (TRIS) to turn their attention to the creation of a garden. This project will serve both them and the community in so many different ways! Work on a garden helps to bring these young people into intimate contact with nature. It connects them to human history and to modern global issues. 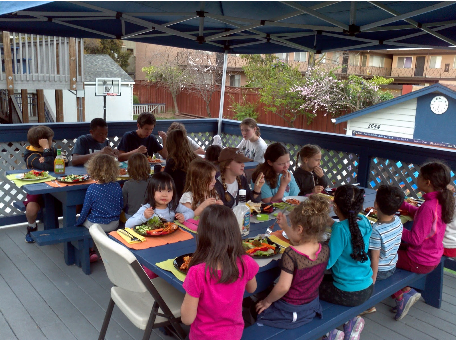 It further offers these young people the possibility of contributing something concrete to their school community. Who knows? Maybe someday students at TRIS will get to eat something grown in this garden! Or perhaps families will have the opportunity to purchase something grown there, and the middle school students will discover economic exchange. Oh, the possibilities are endless! 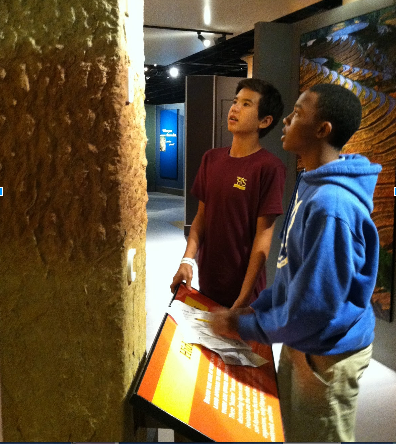 BUT….before they start digging, the students have to understand what they are doing! Anyone can till a garden and toss some seeds on the ground, but if one really wants to be successful, one should really come to understand the different elements that can make or break a garden. It is for this reason that our students have spent time focusing on one of the essential elements in a garden: soil! Who know there was so much science in soil? 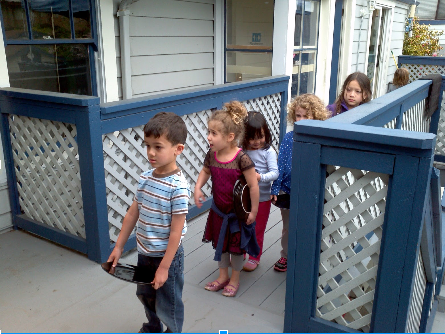 Our students started their explorations in the classroom, but then quickly headed out. They were fortunate to be able to go to the Dig it! Exhibit at the California Museum in Sacramento. With the basics under their belts, they then took samples from around campus and Dimond Park. These samples were then used in different experiments to learn more about the soils that we have under our own feet! 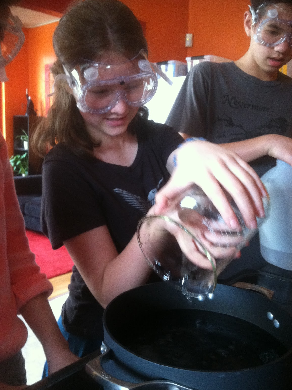 Enrollment is still open for Fall 2015 in our Montessori middle school program in Oakland,. Stu­dents from Oak­land, Berke­ley, San Lean­dro, Alameda, and other San Fran­cisco East Bay cities attend The Renais­sance Inter­na­tional School, located in Oakland’s Dimond Dis­trict. 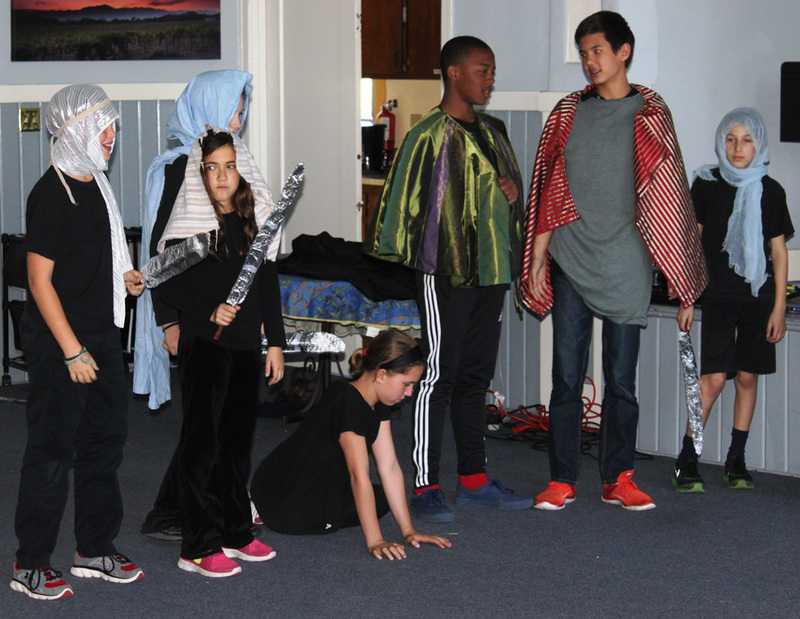 So began the “Story of Plants,” which took The Renaissance International School (TRIS) middle school students on a fantastic journey through the evolution of plants. Told in simple, yet accurate, terms, the story illustrated the key steps that contributed to the development of the plants we see today, and provided the students with a framework for understanding plant biology. 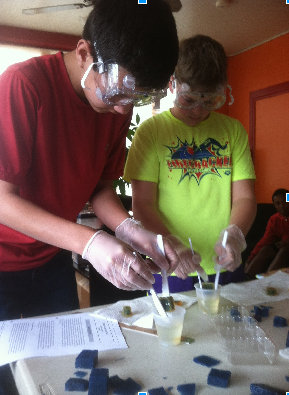 After hearing about how prokaryotic cells developed into eukaryotic cells, the students were eager to know more. What are these cells? How do they differ from each other? 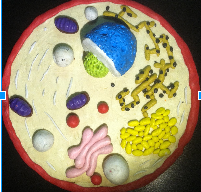 And so began an exploration of cells that resulted in a series of three cell models: prokaryotic, plant and animal (eukaryotic). The students enjoyed learning the names of the different parts as they researched, chatted and built their models. 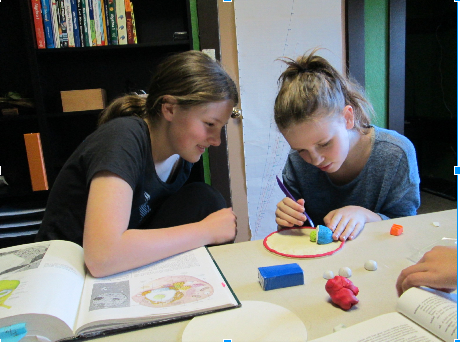 Students then had the opportunity to explore why it is that cells didn’t just get bigger and bigger, instead forming multicellular organisms. Through an experiment with agar and a special colorant, the students were able to observe diffusion in agar “cells” of different sizes and to see how the transport of nutrients and waste could be very challenging in a large cell. Best of all, it was a lot of fun!